Xiaomi has finally updated its Mi Pad series after nearly two years. The Xiaomi Mi Pad 3 comes as an upgrade over 2015’s Mi Pad 2. However, you won’t notice any huge changes as the Mi Pad 3 features the same metal bodied design and display, only with slightly upgraded internals. 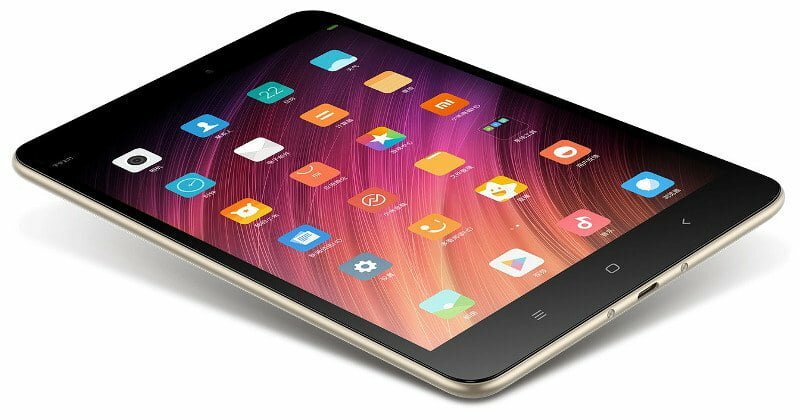 The Mi Pad 3 comes with a 7.9-inch display with a resolution of 1536 x 2048 pixels, which is same as the Mi Pad 2. It features a unimetal body design, and at 328 grams, the tablet weighs a little more than its predecessor. This is mainly due to the bigger 6,600mAh battery used to provide juice for the tablet. The hexacore MediaTek MT8176 powers the tablet and RAM is now upgraded to 4GB from 2GB in comparison to the Mi Pad 2. It has 64GB of internal storage space. But, there’s no option for storage expansion which is a bit of letdown. Camera wise, the Mi Pad 3 now features a 13MP rear-facing sensor with f/2.2 aperture. However, we firmly believe that it will be a subpar camera as the tablet photography is still in its nascent stages and there’s no scope for development too. Xiaomi claims that the 6,600mAh battery can deliver 867 hours of standby and 12 hours of multimedia consumption. Another noticeable thing here is that the Xiaomi is not releasing any Windows version of the tablet, which means you will only be able to buy the one that runs MIUI 8 based on Android Marshmallow. The Apple of China did not hold any event to launch the tablet. Instead, it chose to make it available to the masses via its official site. The tablet is currently available only in the Chinese market for 1499 Yuan (approx. Rs. 14,300). Currently, there’s no info on the Indian launch of the product, but Xiaomi will surely launch it in the coming days. A lovely device powered by Mediatek chipset with a massive battery. Really liked the product. Please let the Chinese buy it first. All the leftovers can be sold to Indians in flash sale at higher prices.